Pastor John St. Martin and his wife Tara both grew up Brooklyn Park, MN, just outside the city of Minneapolis. They have been married since 2008 and have three beautiful daughters; Audrey, Noelle, and Charlotte. John graduated with a degree in Business Management from Minnesota State University, Mankato and worked for several years in the business world. John later owned and operated a small painting company. 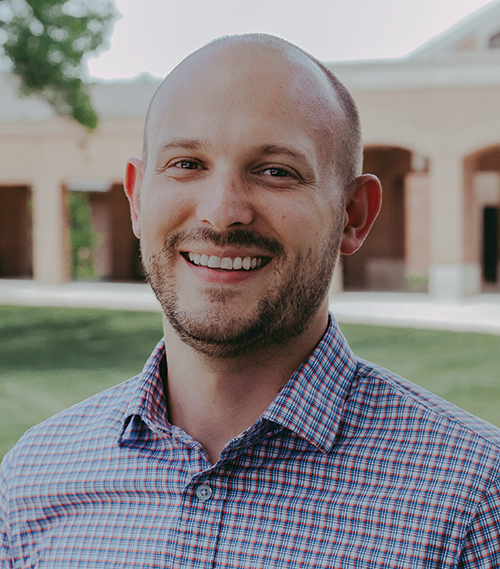 He also has a background ministering to college students, having founded a campus ministry at his alma mater, Minnesota State University, Mankato. Most recently, John and his family were living in St. Louis, Missouri while he attended Covenant Theological Seminary. John earned his M. Div. and subsequently moved to Sioux Falls to serve as an assistant pastor at Grace. John has also been called by Siouxlands Presbytery to plant a new church in Fargo, ND. North Dakota is the only state in America with zero PCA churches. Fargo is the largest city in the state and home to NDSU with over 14,000 students. This area is booming with growth and there is a huge need for faithful gospel ministry. A portion of John’s time serving at Grace will be spent laying a foundation for this new work in Fargo. The St. Martins are planning to relocate to Fargo in the summer of 2018. In the meantime, you can visit the Fargo church plant's Facebook page here. In John’s free time, he enjoys disc golf, board games, and road biking. You can reach Pastor John at john@graceforsiouxfalls.org.